You may or may not know that I call my publishing company Blue Hydrangea Productions (check out my website and buy a book, okay?). 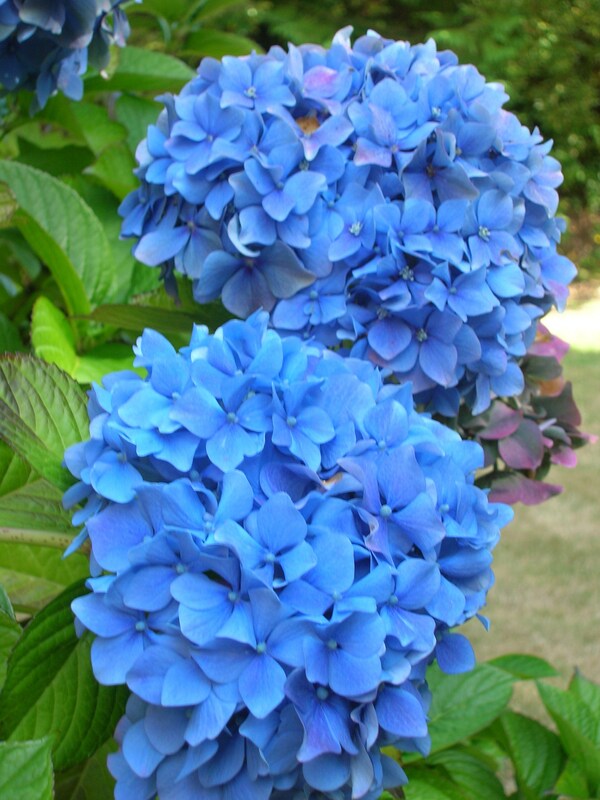 I love blue hydrangeas, especially the kind popularly known as “mopheads.” They’re in my blood. My mother had them growing next to our front porch in San Jose. My grandfather had some along the side of his house in Seacliff, California. 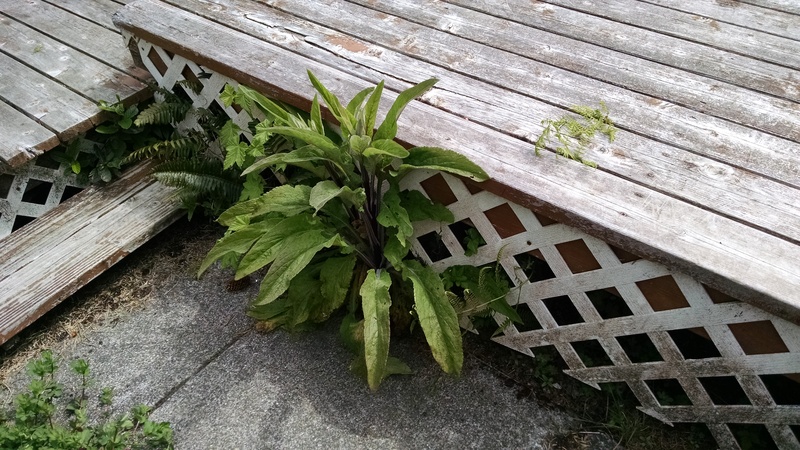 When Fred and I bought our house in South Beach, Oregon, a luscious blue plant bloomed by the front door. Clearly we were meant to live here. The Azores Islands from which my mother’s ancestors came are covered with blue hydrangeas. Miles and miles of them, often used as fences. When we toured Faial years ago, our bus driver gave each of the women hydrangea flowers. I started sneezing, since I’m allergic to almost everything with leaves, fur or feathers, but that did not stop me from loving them. 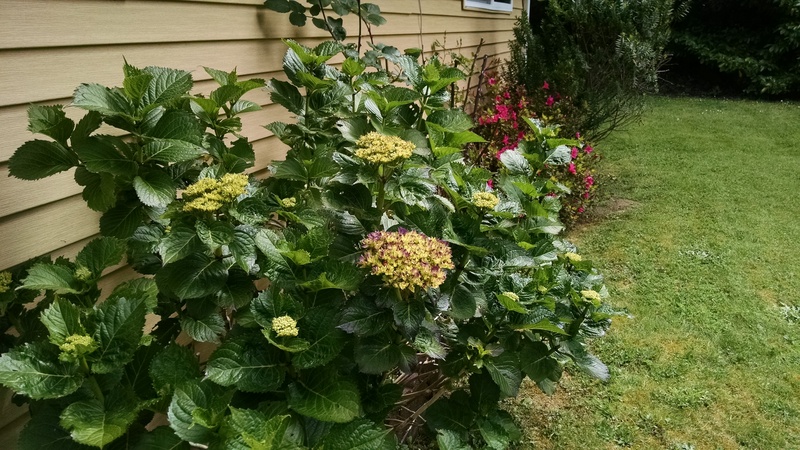 Now, alas, something is wrong with my big hydrangea. A smaller plant nearby is loaded with leaves and just starting to bloom. But the big one, my company namesake, is mostly sticks with a few wan leaves. What’s up? I treated them both the same. I didn’t prune either plant last fall because I was in California taking care of my dad after he broke his hip, but that doesn’t explain the difference. Was it the snow and ice in Dec. 2013 that killed my hebes? Was it not enough rain in 2014? 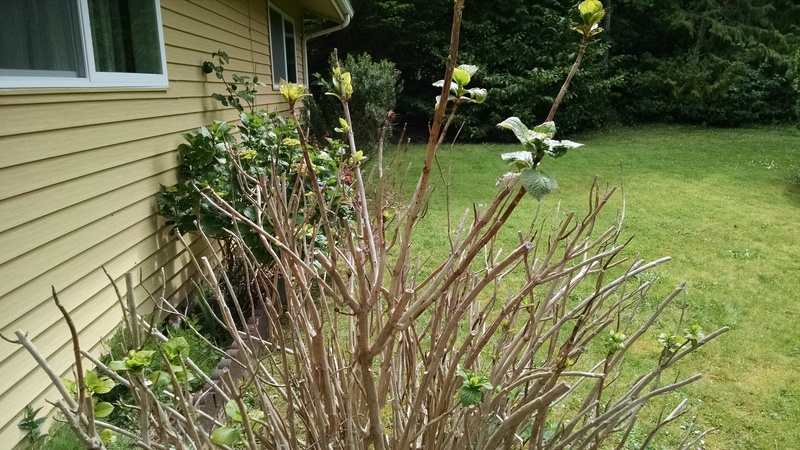 Have the blackberry vines that poke up through the branches choked the life out of the hydrangea? Is it the fact that I don’t mulch, fertilize or feed any of my plants? If nothing happens, I’m going to prune it down to nothing next fall and start fresh. Maybe I’ll even water it, which seems redundant on the rainy Oregon coast. Meanwhile, my rhododendron is in full bloom, a gorgeous wash of magenta that will last a couple more weeks. And the weeds, oh, they’re doing well, some of them, like the one below, so spectacular I don’t have the heart to pull them out. I don’t know what they are, but who am I to argue with what come s up naturally in the middle of the coastal forest? For those fans who seem to think I’m good at everything, I’m not. Here’s proof. Welcome to my stick garden. Previous Previous post: What’s Just Around the Bend?